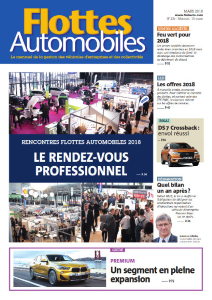 TELMA CONTRIBUTES TO SUSTAINABLE DEVELOPMENT IN FLOTTES AUTOMOBILES - Telma S.A. Following measurements carried out at the city of Marseille, Telma underscoring the fact that a waste collection truck fitted with a Telma induction brake can reduce brake pad wear by up to 90% , compared to a vehicle without Telma device. This represents as many fine particles not emitted in the atmosphere. Based on these results, we understand why Telma won the Sustainable Development Award at Solutrans show.